1. How do I visit Detachment 750? 2. How do I enroll/register in AFROTC? No formal application for AFROTC exists. 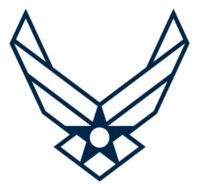 If you plan on enrolling in AFROTC, please complete your on-line registration at the following link: https://wings.holmcenter.com/psc/hcp/LANDING/PORT_HCP/c/NUI_FRAMEWORK.PT_LANDINGPAGE.GBLcall, go to the ROTC block and click “Apply for AFROTC”. It is a simple and quick process. Should you have any questions, please phone the Recruiting Officer at (610) 660-3190. 3. I’m not a Saint Joseph’s University student; can I enroll in the AFROTC program? Absolutely! Detachment 750 has agreements with 23 colleges and universities in the greater Philadelphia area allowing you to pursue and complete academic opportunities available at your school while simultaneously enrolled in AFROTC at Det 750. 4. Am I committed to the government once I join? AFROTC requires no obligation until after LEAD is completed (traditionally after the sophomore year). Cadets can drop the AFROTC program the same way they would drop any other college class (until the point of contracting after Field Training). However, a commitment to the Air Force is required if a cadet is on an AFROTC scholarship. 5. Is transportation provided to the detachment? No, Air Force ROTC does not provide transportation from any of the crosstown universities to Saint Joseph’s University. Students can either drive themselves, take SEPTA train to Overbrook Station, a SEPTA bus, or carpool with other cadets. 6. If I enroll and don’t like ROTC, can I quit? Cadets can drop the AFROTC program the same way they would drop any other college class (until the point of contracting after LEAD). 7. Can I apply for a scholarship after I join Air Force ROTC? Although you do not need a scholarship to join the AFROTC program, two-, three- and three-and-a-half year scholarships are available to qualified cadets who join the Air Force ROTC program. Students who have already graduated from high school must join the program before being considered for a scholarship. 8. What is the difference between AFROTC and enlisting in the Air Force? AFROTC produces officers for the United States Air Force. To be an officer you must have a bachelor’s degree and graduate from an officer commissioning program. An officer fills the management positions in the Air Force, and their salary reflects this. In addition, you must be an officer to be a Pilot or Navigator. Enlisted members must have a high school diploma or GED equivalent and attend basic military training (i.e. boot camp). Enlisted members are technically trained and fill technical hands-on positions. Officers lead and manage the enlisted positions. 9. Do I have to wear a uniform? Yes. Cadets are responsible for keeping the uniform clean and presentable. Cadets are required to wear the uniform at Leadership Laboratory, and Aerospace Studies class. There are also certain social events scheduled throughout the year, such as Dining-Out, when the wear of the uniform is required. 10. What is my weekly time commitment in AFROTC? Your weekly time commitment depends on your cadet rank, cadet position, and optional extracurricular involvement. However, on average Freshman/Sophomores devote 4 hours a week, while Juniors/Seniors devote 6 hours a week to AFROTC, which include time in your ROTC class. 11. Does every cadet receive scholarship money? No. Scholarships are competitive and merit-based. Most of our cadets are not on scholarship through the Air Force. The Air Force does not give any financial entitlements to cadets other than scholarships until they have completed LEAD and have contracted with the Air Force. Contracted cadets, regardless of scholarship status, will receive a monthly non-taxable stipend of $250 – 400. However, additional opportunities for scholarship are available through independent organizations that support Det 750. 12. If I don’t receive a scholarship, can I still participate? Yes. Most of our cadets are not on scholarship. Non-scholarship cadets have the same opportunities to succeed in AFROTC as scholarship cadets. Scholarship cadets are not given preferential treatment in any way, including their evaluations for entry into the POC or pilot slots. 13. Can I participate in intercollegiate athletics while a member of the Air Force ROTC program? Yes, we highly encourage participation in your school’s activities outside of AFROTC. Athletics can conflict with AFROTC activities at times, and if that occurs, you must discuss your schedule with your ROTC instructor for approval. 14. What is Leadership Laboratory (LLAB)? LLAB is what sets AFROTC apart from other leadership training programs because it allows a hands-on leadership experience for cadets. LLAB is a cadet-organized, cadet-run lab taken each year with your AFROTC classes. You will spend two hours each week applying the leadership and followership skills and management theory acquired in your academic ROTC class. You will have the opportunity to listen to military speakers, view films, interact with Navy and Army ROTCs, receive expeditionary training, and take part in social functions. 15. How much physical training do I do as an AFROTC cadet? You are required to participate in at least two one-hour sessions of Physical Training each week, one of which is cadet-led and part of your schedule at Saint Jopseph’s University, and are intended to help you maintain excellent physical condition and pass the required AFROTC Physical Fitness Assessment. 16. Are there special Air Force ROTC activities during the school year? Throughout the year, activities take place to help students learn more about the Air Force and to have fun. These activities may include a visit to an active-duty Air Force base, paintball, rock climbing, a Dining Out (a formal ball, rich in Air Force tradition), and many more. Some are optional and some mandatory, but all activities are scheduled well in advance to help you manage your time. 17. What is LEAD, and when must I attend it? LEAD is an intensive, four -week program you attend at Maxwell AFB, Alabama the summer after your second year (typically between your sophomore and junior year). LEAD is AFROTC’s version of boot camp, but the training is focused on developing cadets’ leadership skills and discipline. You will participate in sport competitions, junior officer education, marksmanship, self-defense skills, and physical fitness training. When you finish, you will be ready to return to your school and assume a leadership position within AFROTC. You only attend LEAD once as a cadet. 18. How long is my commitment to the Air Force after graduation and commission? Your commitment depends on your career field. Most officers have a four-year commitment. However, pilots incur a ten-year commitment after completing pilot training, and combat systems officer, air battle managers, and remotely piloted vehicle pilots incur six year commitments. 19. What are the benefits of being an Air Force Officer? 20. I want to be a pilot or a navigator, how can I become one? First, you can major in ANY academic major and qualify as a pilot or navigator. However, to compete for a pilot or navigator position, you should have a competitive grade point average, be in excellent physical condition, and score well on the Air Force Officer Qualifying Test or AFOQT (taken here at Det 750 once you are a cadet). To compete for the pilot or navigator categories, you must be able to complete your bachelor’s degree and be commissioned before you are 29 years old. 21. Do I need perfect 20/20 vision to fly in the Air Force? 22. Can I continue my education beyond the baccalaureate level before entering active duty? Yes, but selection to do so is very competitive. In many cases you can request an educational delay, and Headquarters AFROTC is the approval authority. You will normally assume all financial obligations. 23. Can I pursue graduate education after I’m commissioned and on active duty? The Air Force is education-oriented and financially supports graduate studies. You can apply for the Air Force Institute of Technology to earn an advanced, medical, or law degree on full scholarship. Additionally, most bases have graduate college programs, and you may apply for the tuition assistance program that pays up to 75% of the tuition cost for officers. 24. What are the physical training requirements to join AFROTC? PT, or physical training, is a time when the entire cadet corps meets to maintain physical standards. This occurs every Thursday 10:15 – 11:15 AM (following cadet academic classes) at Saint Joseph’s University. You can expect to do calisthenics and running as the main components of the sessions. Once each semester cadets are required to pass the Physical Fitness Assessment which consists of a 1 ½ mile run, 1 minute of push-ups, 1 minute of sit-ups, and a waist measurement.